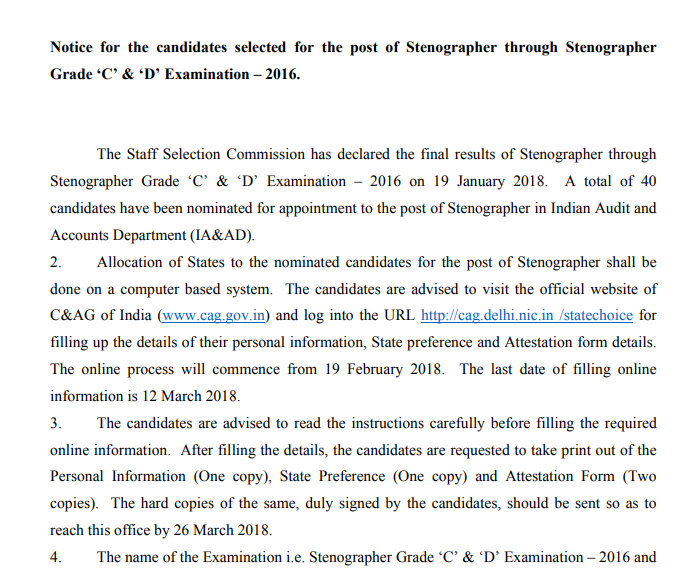 The Staff Selection Commission has declared the final results of Stenographer through Stenographer Grade ‘C’ & ‘D’ Examination – 2016 on 19 January 2018. 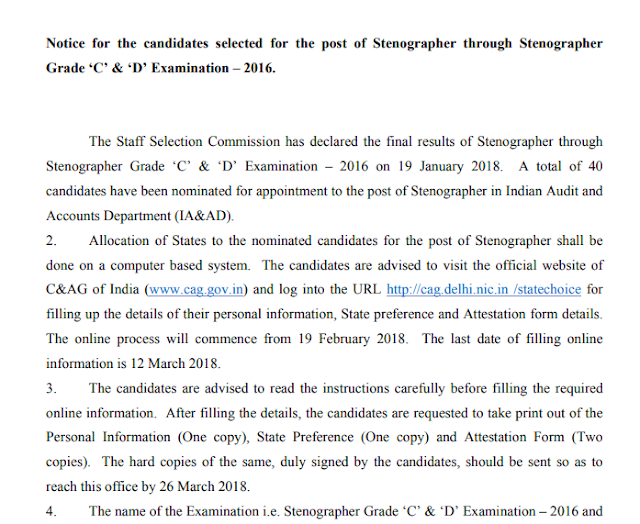 A total of 40 candidates have been nominated for appointment to the post of Stenographer in Indian Audit and Accounts Department (IA&AD). The online process will commence from 19 February 2018. The last date of filling online information is 12 March 2018. The candidates are advised to read the instructions carefully before filling the required online information. After filling the details, the candidates are requested to take print out of the Personal Information (One copy), State Preference (One copy) and Attestation Form (Two copies). The hard copies of the same, duly signed by the candidates, should be sent so as to reach this office by 26 March 2018.